'Thriller of the year' Daily Mail When aspiring writer Guinevere Beck strides into the bookstore where Joe works he is instantly smitten. Beck is everything Joe has ever wanted: tough, razor-smart and sexier than his wildest dreams. He'd kill to have her. Soon Beck can't resist her feelings for a guy who seems custom made for her. When a string of macabre incidents tears her world apart there is only one person she can turn to. But there's more to Joe than Beck realises and much more to Beck than her perfect facade. 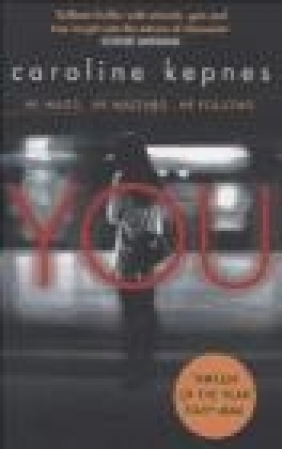 The obsessive relationship quickly spirals into a whirlwind of deadly consequences...A chilling account of unrelenting, terrifying deceit, Caroline Kepnes' You is a thriller more perversely clever and dangerously twisted than any YOU have ever read.